Would not be surprised if she is not a late entry for the Oaks in June. She should at least shake the hell out of the Irish version. Looks a superstar in the making. Song Of Tara is the sire of 7 stakes winners, the best no doubt being the Sydney Cup winner No Wine No Song. Actually I didn't know that the owner of Tobermory, Joe O'Gara, died last year. Popular breeder and owner Joe O'Gara, a long-time supporter of Goulburn Racing Club, has passed away. O’Gara was an extremely successful and respected breeder and owner who imported Air De France in the mid 1980s to stand at his Tobermory Stud near Goulburn. Air De France sired some quality gallopers including G1 performers Air Seattle, Bomber Bill and Super Slew. Following the success of Air De France, O’Gara imported Song Of Tara, a successful sire of many stakes winners including Sydney Cup winner No Wine No Song. O’Gara raced a long list of horses in his familiar colours of red with a green shamrock. From a cracking family, Tocco D'Amore is a half-sister to four winners in Europe, including the Prix Daniel Wildenstein winner Echo Of Light, along with Irish History who was third in the Coronation Stakes for Mahmood Al Zarooni. Spirit Of Tara is a Sadler's Wells mare which is something I look at as a potential game changer as Sadler's Wells is an amazing broodmare sire and has been the leading light for a broodmare sire throughout Europe. Winning by a cool 6 lengths on debut, this filly was slow into stride for her racecourse debut, where she would start to get rolling and leave a cracking impression. Out the back for most of the race, Tocco D'Amore was picking them off one-by-one and over 1m2f for the first time, she looks to be a classy one for the future. Going into the final 3furlongs, she was on the near side, throwing her head around and showing her greenness, but she would find her stride and go ahead to pass all of her rivals. The final furlong was a one horse race, she managed to kick clear to win by 6 lengths. Tocco D'Amore is in-bred with Northern Dancer showing up on both sides, where he is on the 5th generation for the sire and the 3rd generation for the dam, making Tocco D'Amore in-bred to Northern Dancer 3x5, which some say is the engine room for any horse. An outstanding family, with the likes of Elusive Quality, Mr Prospector and Sir Ivor in here - if this filly follows in the footsteps of these, she'd be outstanding. 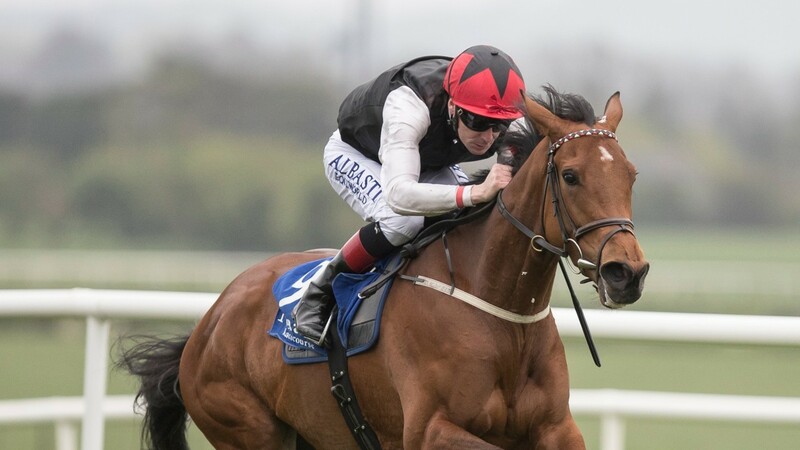 Target: Dermot Weld has made my life a little easier, as he expects her to go for Oaks trial in Ireland, where she could be set up for a crack at either the English or Irish Oaks, showing what Mr Weld thinks of her. Entries in the Group 3 Blue Wind Stakes, I could foresee this filly coming back for that race at running on the 13th of May if there is no setbacks, with the Irish Oaks around about 2 months later. A horse who looks to be going places, Moyglare seem to love her on their Twitter account, of course you would for a 2million euro horse, but she could seriously be special. The looks, the pedigree and clearly some talent. Finally has run number two tonight, In a listed 2400m contest at Naas.